Former Congressman Marty Russo emcees the Gala Dinner for the American-Australian Leadership Dialogue. One of my favorite Board memberships is to serve alongside some very talented colleagues on the American Australian Leadership Education Foundation. This July, we held the bi-annual Leadership Dialogue here in Washington D.C. with an impressive array of meetings and events that brought together the best and brightest from Australia and America. Some of the highlights included a welcome reception at Statuary Hall in the U.S. Capitol Building and a series of substantive dialogue sessions on an array of important issues such as energy, education, defense, economic and trade. It was particularly meaningful to join Robert “Bob” Walker and Robert “Bud” Cramer — our two Board Members who are Former Members of Congress — on the floor of the U.S. House of Representatives to speak to a group of young leaders. I think between Bob, Bud and I that we had all points of the compass covered in terms of political beliefs. We spoke in turn about how political leaders can work together for the common good. The feedback from these young Australian and American leaders was interesting. They had many questions about “how” we were able to work together to get so much done for the country despite our differences. They also questioned why today’s political leaders can’t do the same. I wish I knew the answer! 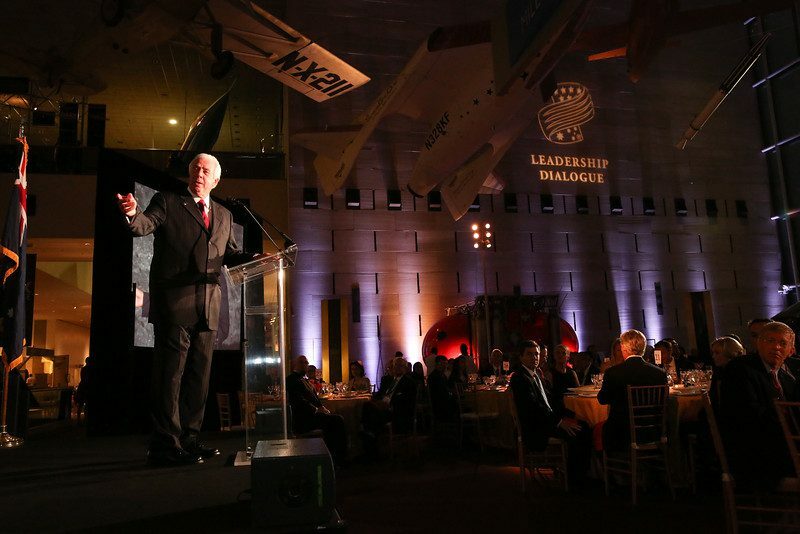 Our big crowning glory to cap these three days of intense dialogue was to have a gala of 300+ attendees at the Smithsonian Air and Space Museum. Wow, that was a beautiful setting to celebrate the strong relationship between American and Australia. It was particularly fitting that the event took place on the 45th anniversary of Neil Armstrong’s famous walk on the moon. We took care to remind the room that it the TV signal to broadcast that iconic moment to the world was routed from space through Australia. 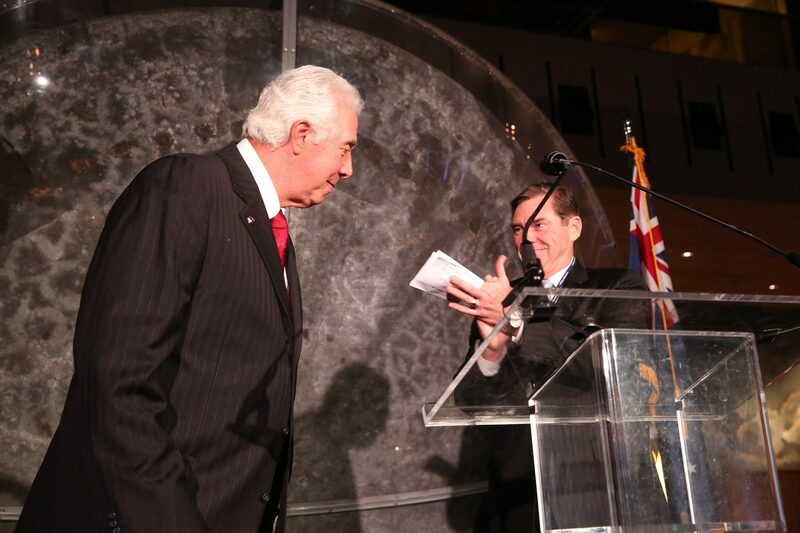 It was a thrill to serve as Master of Ceremonies with a podium right in front of that famous Apollo capsule.